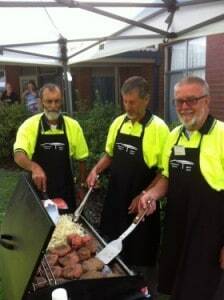 Mount Beauty & District Men’s Shed – Page 17 – Feel productive, contribute to the community and have fun doing it! Come along to the Shed’s 40th members BBQ Lunch & General Meeting. Program: The winter BBQ will in fact be a cooked lunch incl. soup, lots of socialising and an update on Shed construction. The Annual General Meeting is on Friday 18th September 2015 at the Senior Citzens Clubrooms following the 12noon BBQ . The Hearing Bus is Coming to Town — The Australian Hearing bus is stopping by Mount Beauty to offer FREE hearing checks and raise hearing health awareness. Location: Kiewa Crescent outside the Community Centre, Monday 31st August 2015 from 9:30am. Rod Hyde – what a dilemma! Come along to the Shed’s 39th members BBQ Lunch & General Meeting. Program: BBQ Lunch incl. soup, lots of socialising and update on Shed construction. The committee is seeking Volunteers to man the gate for the remaining two home Football/Netball Games both at Dederang. Hours are 7am to 3pm. Usually there is a morning shift – 7am to 11am and an afternoon shift – 11am to 3pm. Volunteers can help for whatever time commitment they wish. This is the major fundraiser for the Shed with funds currently being spent to outfit the Shed. Hope you can help with the fundraising. Please contact the co-ordinator Mark Hardidge if you can assist: Tel: (03) 5754 1619, Mob: 0407 549 651 or Email: <maurk01@bigpond.com>. The next home game is 18th July at Dederang. 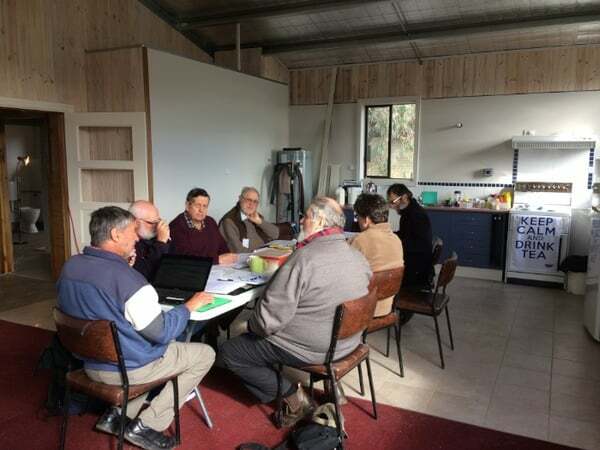 1st Committee Meeting at the new Shed (13/7/2015). Kitchen & Recreation Area looking good. Come along to the Shed’s 38th members BBQ Lunch & General Meeting. Program: BBQ Lunch, lots of socialising and update on Shed construction. NOTE: There will be no BBQ in June. 1. Shed fundraising — For the last two years the Shed has assisted the Dederang/Mt Beauty Football & Netball Club by collecting their Gate Entry money, for home games. In return they allow us to sell raffle tickets at the gate for a donated trailer load of red-gum firewood or a Bunnings sales voucher. Any ticket sales is Shed profit. This activity provides some serious income for the Shed so we need to continue to provide the service for the Football/Netball Clubs. The committee is seeking Volunteers for the remaining 6 home games. Volunteers can help for whatever number of games or time commitment they wish. Hours are 7am to 3pm. Please contact the co-ordinator Mark Hardidge if you can assist: Tel: (03) 5754 1619, Mob: 0407 549 651 or Email: <maurk01@bigpond.com>. 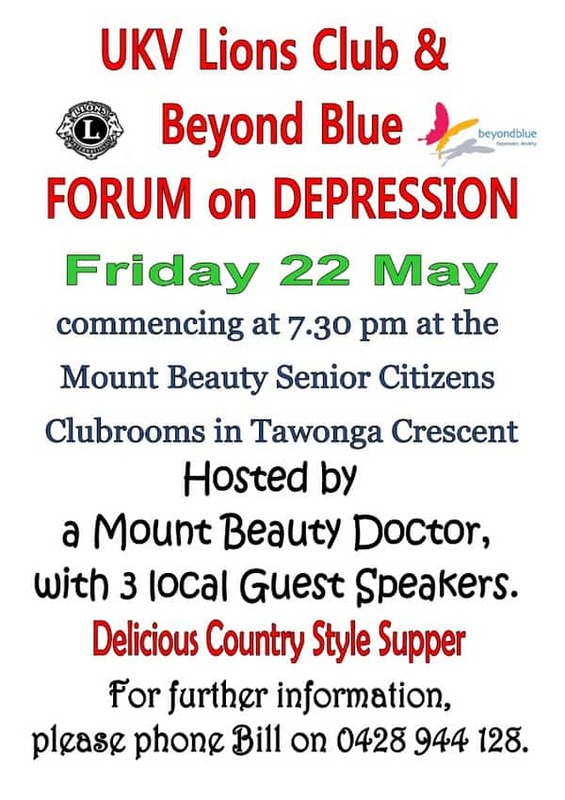 The next home game is 30th May at Mt Beauty. 2. 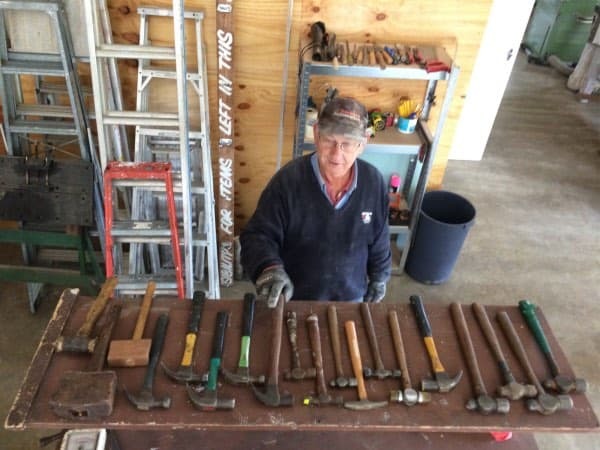 Shed Survey — We have 60 members and have received 20 surveys – a poor response. Please make the effort to complete the survey and return it — We are conducting the Survey to gauge the activity interests of members so committee can put in place programs once Shed is operational. Click [HERE – for a Word version of the Survey] to download and print off the Survey (once clicked on, the Word file will appear in your Downloads folder or Documents folder or on your Desktop depending on how your computer is set-up). Click [HERE – for a PDF version of the Survey]. Print off and fill in by hand and return as per instructions on the Survey.